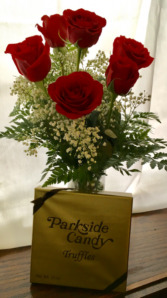 Yellow roses are a beautiful choice any time of the year! 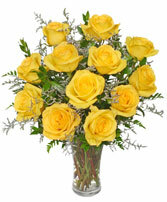 Yellow roses are known to represent joy, wisdom and power. 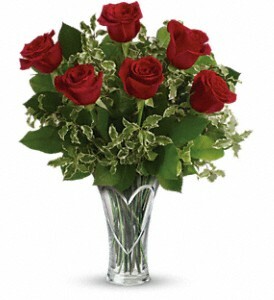 They just happen to be bright, cheerful and more than beautiful! 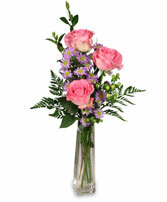 Arrangement includes one dozen yellow roses arranged with limonium and greens. Please make a notation if you would prefer baby's breath.